Similar to the advance from black and white to color printing, a Washington State University research team for the first time has used 3-D printing technology in a one-step process to print structures made of two different materials. The advance could potentially help manufacturers reduce manufacturing steps and use one machine to make complex products with multiple parts in one operation. Until now, 3-D printing, also known as additive manufacturing, has been limited to using mostly one material at a time. 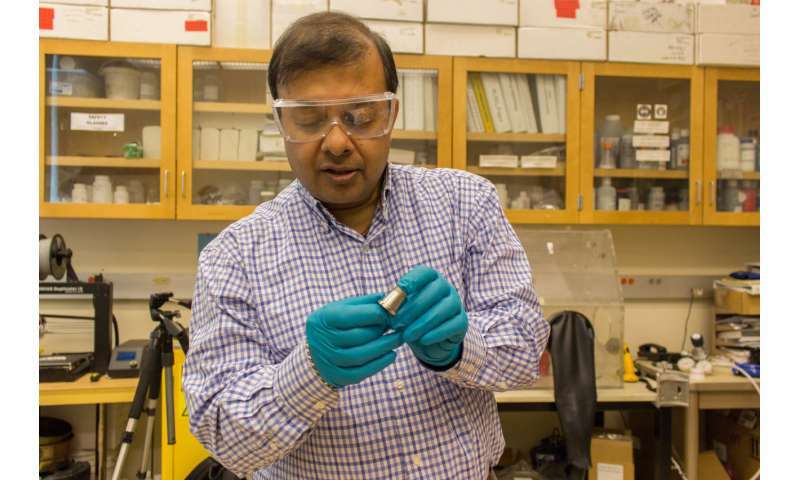 Led by Amit Bandyopadhyay, Herman and Brita Lindholm Endowed Chair Professor in the School of Mechanical and Materials Engineering, the researchers used 3-D printing technology to print out metal and ceramic structures as well as a bimetallic tube that is magnetic in one end and nonmagnetic in the other. The report on their work is published in the May issue of Additive Manufacturing. Three-dimensional printing has changed the landscapes of many industrial practices and has significantly influenced product design protocols. Anyone who wants a custom part can design it on a computer and then simply print it out. However, manufacturers can only put one material into a printer to print out parts. 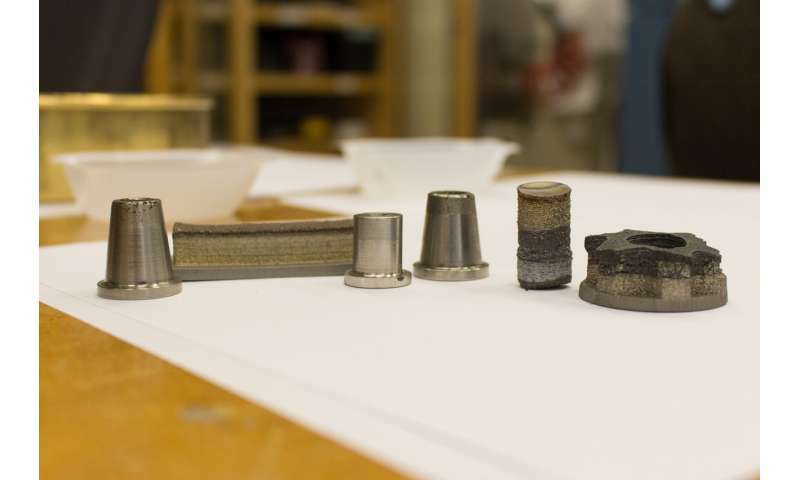 By being able to use more than one material at a time, they will be able to better control properties like heat conduction, corrosion protection, as well as environmental adaptation in their materials. "This is a step towards the next level of manufacturing and the next generation of design, validation, optimization and manufacturing using 3-D printing," said Bandyopadhyay. With adoption of multimaterial, 3-D printing, manufacturers also won't need to use the adhesives or joint connections that are now required for creating multimaterial products. "You could be joining two very strong materials together, but their connection will only be as strong as their adhesive," said Bandyopadhyay. "Multimaterial, additive manufacturing helps get rid of the weak point." 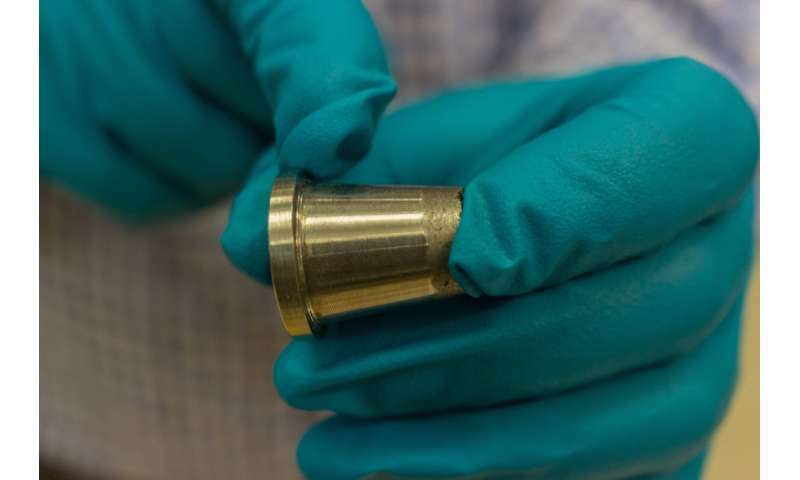 The researchers, including graduate students Bryan Heer and Bonny Onuike, used a laser-based 3-D printer to join the materials in a single step, printing out a nickel-chromium and copper structure. Inconel 718 is a nickel-chromium alloy used in liquid-fueled rockets and for sheet metal parts for airplane engines. The material is able to withstand high temperatures well, but it cools very slowly. When the researchers added the copper in the 3-D printing process, the part could be cooled 250 percent faster, meaning a longer life and higher fuel efficiency for airplane engines. "Multimaterial additive manufacturing has opened the doors to so many different possible creations," said Bandyopadhyay. "It has allowed us to be bolder and be more creative." Working with graduate students Tom Gualtieri and Yanning Zhang, the researchers also printed metal-ceramic material in one operation. "This allows us to vary the composition and add functionality to a product during 3-D printing that is traditionally very difficult to achieve," he said. "And we can do this in a single process with a single machine."